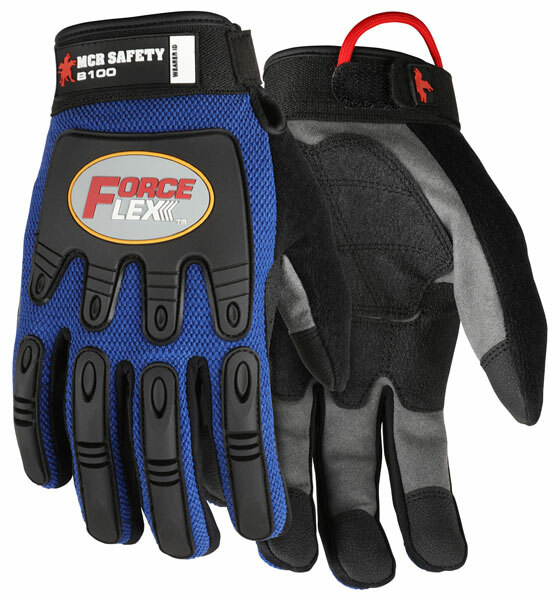 The ForceFlex® Multi-Task line of gloves provide the ultimate back of hand impact protection while providing full flexibility and range of motion. The B100 full finger multitask style features ergonomically designed synthetic leather palm with rough grip palm pad, injection molded TPR padding on the back of hand and fingers for full dorsal metacarpal protection, and extra tacky fingertips. The blue mesh fabric backing provides comfort and breathability.